You need only check out our San Francisco Food Tours article to know we love San Francisco and its unique food offerings, and here’s where we hope to be this weekend. On Saturday, January 14, 2012, the popular Ferry Building Marketplace will host the winners of the second annual Good Food Awards (to be announced at the preceding Friday night gala ceremony). Organized by The Seedling Projects (a San Francisco-based organization that supports the sustainable-food movement), the Good Food Awards’ mission is to spread the word about small, local and sustainable food producers across the nation, and 26 states are represented in this year’s competition that encompasses eight categories: charcuterie, cheese, coffee, chocolate, pickles, preserves, beer and spirits. At Saturday’s Ferry Building event, which runs from 11:00 a.m. to 2:00 p.m., this year’s winners will sell their artisanal foodstuffs downstairs while the upstairs area will host the new-this-year Beer and Spirits Garden. The event’s $5 admission allows you to meet the makers and pick up some of their award-winning foodstuffs, and there’s an additional $12 charge for the Beer and Spirits Garden. This additional charge entitles you to five tastings, which include 4 oz. of beer, a ¾ oz. taste of straight spirits or a sample cocktail pour. Additional tasting tickets will be available for $2 each. Tickets for Saturday’s Good Foods Marketplace can be purchased here. If you’re in town for a weekend getaway, you may also want to check out the San Francisco restaurant week event that begins the following day, Sunday, January 15, and runs through the end of the month. 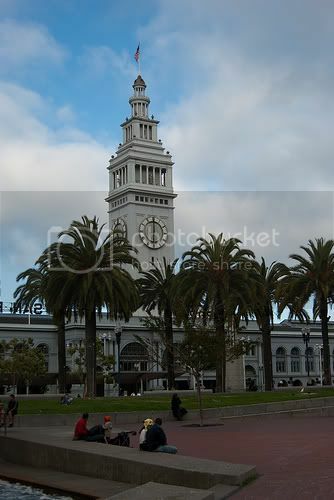 Photo of San Francisco Ferry Building by CasualCapture via flickr Creative Commons. Click here to view more San Francisco Bay Area Travel blog posts or click here to select an article from our San Francisco Bay Area vacation guide.